Join us in a fashionable night for a Provençal evening under a canopy of stars — a gala event benefiting the foster children of San Diego County. 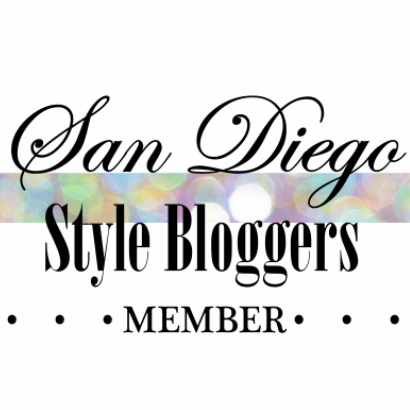 Reserve your tickets now for one of San Diego’s most glittering and successful galas, this year evoking an evening in the South of France! 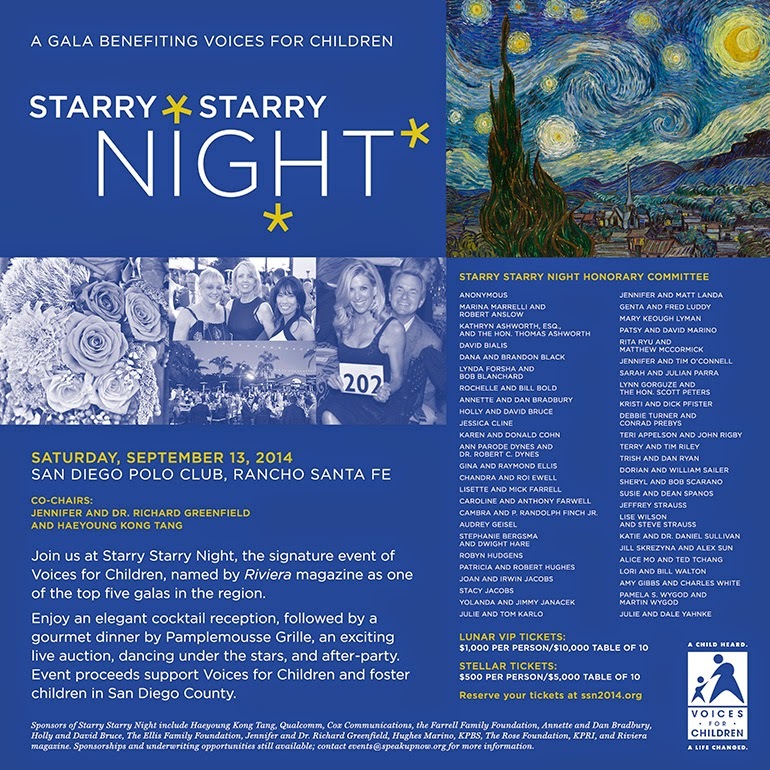 Voices for Children’s signature event since 2002, Starry Starry Night will be held on Saturday, September 13, 2014 at the San Diego Polo Club in Rancho Santa Fe. The evening will begin with an elegant cocktail hour, followed by a gourmet dinner by Pamplemousse Grille, a live auction, live entertainment from ENERGY, and dancing under a canopy of stars. Co-chairing the event this year are Jennifer and Dr. Richard Greenfield and Haeyoung Kong Tang. All funds raised support the Voices for Children CASA Program, which serves the more than 5,000 foster children in San Diego County. This was an evening holiday party, so the setting was nice, warm and welcoming. The floors were dark wood with iron chandeliers above, leather club chairs and benches.